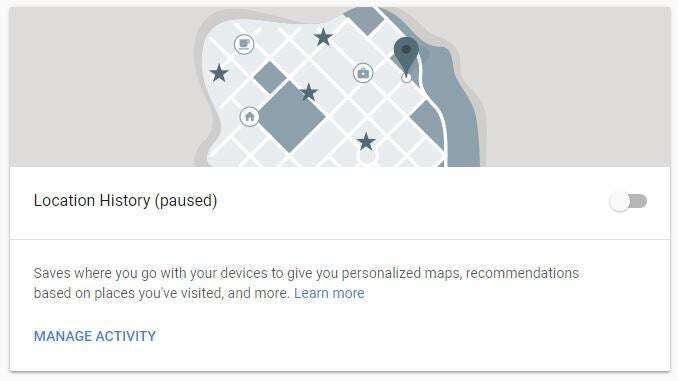 When a user chooses to pause Google’s collection of location data with the “Location History” option, the search giant continues to collect and store that information. It’s a sleight of hand that’s enough to make someone shut off everything just to be safe. Following a blog post by K. Shankari, a graduate researcher at UC Berkeley, the Associated Press decided to look into exactly what it takes to disable the recording of your location history when using Google products. It found the company’s user controls are quite confusing if you’re not paying close attention. All of the Google apps have an option to disable the tracking and storing of your location data in one way or another. You can enter a labyrinth of your own data, search history, ad settings, and more at the My Activity hub. The easiest way to adjust your location tracking setting is to go to your activity controls on a desktop or in a mobile browser. You’ll see several types of activity tracking with on/off sliders, and “Location History” would appear to be the obvious setting to go with if you want Google to stop remembering the times it has creepily followed your movements around the world. 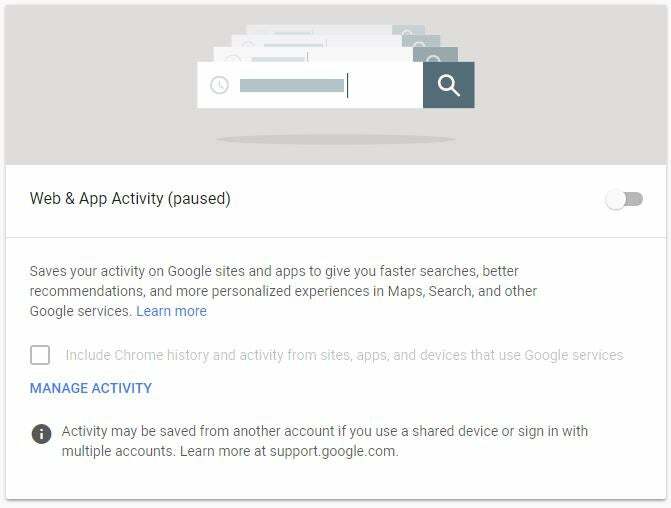 Even though the description for Web & App Activity would lead you to believe that it’s more about personalising search results, it also controls the collection of location data that is associated with some searches that could be used to refine advertising based on location like “chocolate chip cookies.” You can find detailed instructions on how to delete each instance of a location marker or to clear the entire history that Google stores on your activity here. Once you go to My Activity and choose “Delete activity by,” the process is fairly self-explanatory. The AP went to Jonathan Mayer, a Princeton computer scientist and former chief technologist for America's Federal Communications Commission’s enforcement bureau, just to be sure that its understanding of Google’s location practices was accurate. He had one of his postdoctoral researchers, Gunes Acar, carry their phone around New York City with Location History paused, and has uploaded a map of the activity that was recorded. Mayer told the AP he believes what Google is doing is wrong. “If you’re going to allow users to turn off something called ‘Location History,’ then all the places where you maintain location history should be turned off,” he said. There are a number of different ways that Google may use location to improve people’s experience, including: Location History, Web and App Activity, and through device-level Location Services. We provide clear descriptions of these tools, and robust controls so people can turn them on or off, and delete their histories at any time. “Clear descriptions” and “robust controls” are the key phrases there. Google has a lot of controls, menus, explanations, pop-ups, terms of service, and privacy policies to engage with across all of its products. It’s objectively confusing. When we did our walkthrough to see what Google was collecting about us and attempted to disable all location history on an iPhone, we had a different experience than the AP. They received a pop-up that reads “None of your Google apps will be able to store location data in Location History”—a sneakily worded message that is technically true. We only saw a longer notice that was slightly more clear about Google’s intent to continue collecting location data. That could simply be because we accessed the controls through a different method than the AP used in its tests. The point is that this shouldn’t be so confusing. We’ve reached out to Google to ask why user control over location tracking is spread out across multiple options and whether it has recently changed any of its explanations for users. We did not receive an immediate reply, and we’ll update this post when we do. This isn’t some groundbreaking discovery that was found through dogged research or a whistleblower—it’s a basic practice that’s hidden in plain sight if you’re looking for it. Unfortunately, most people aren’t looking for it, and they shouldn’t have to.